Egypt ranks among the slowest 11 countries in Africa in the time required for a company to meet its tax obligations. 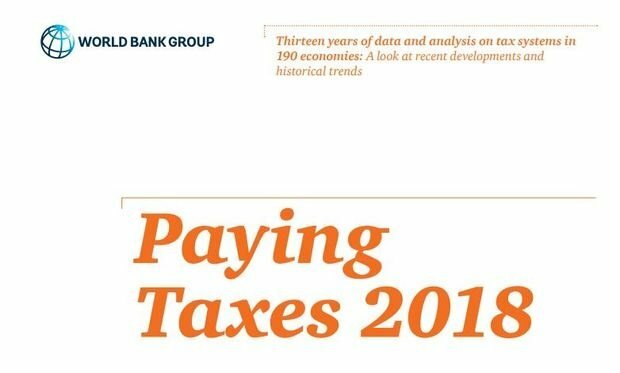 Egypt ranks 167 out of 190 economies in paying taxes, these were the findings of a report by Price Waterhouse Cooper's (PWC) on Paying Taxes 2018. The reports states that Labor taxes account for 27.3% of Egypt’s total taxes, while profit taxes account for 13.6% and other taxes make up 4.4%. As for the time required to comply corporate income tax takes on average 69 hours, labour taxes take 165 hours and consumption taxes take 158 hours this puts Egypt among the slowest countries in Africa in compliance. As for the number of payments, labour taxes make up 12 payments in Egypt, other taxes account for 16 and profit 1. Qatar came at number 1 on the list while Venezuela came at the bottom of the list. The report analyses not only the amount of taxes paid but also the time needed for a company to prepare it's file and meet its tax obligations as well as the time required to get a VAT refund or correct a mistake in the income tax return. Overall EU and European Free Trade Association (EFTA) are the best performing. The report stressed the importance of technological advancement in improving the tax payment systems.